Our Core focus at CEHURD is on Health and Human rights. We aim at contributing to the realization of these rights through three inter-related programme areas. These include Strategic Litigation (SL), Research Documentation and Advocacy (RDA) and Community Empowerment Program (CEP). CEHURD 's Board Chairman Prof. Ben Twinomugisha making opening remarks during the workshop for law enforcement institutions from Kampala, Mbale, Gulu, Tororo, Mbarara and Busia at Hotel Africana in Kampala. CEHURD staff conducting an evaluation exercise for CHAs after successfully implementing their developed work plans for the year 2016 which were aimed at advancing access to SRH services in the three districts of Kiboga, Buikwe and Kyankwanzi. A health worker offering HIV/AIDS services during a Sports Health Camp organised by CEHURD in Kyankwanzi District. Introducing The DREAMS innovation Challenge Project to Different Stake holders in Mukono District. The Strategic Litigation team Making final Preparations prior to a Court Hearing. Commemorating the International Day of the Midwives - Community Dialogue at CEHURD officers in Ntinda. 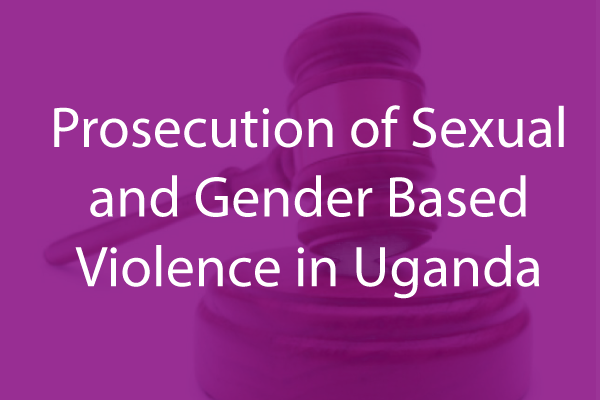 Government’s failure to provide shelters for survivors of GBV is a Rights violation. Center for Health, Human Rights and Development (CEHURD) is an indigenous, non-profit, research and advocacy organization which is pioneering the enforcement of human rights and the justiciability of the right to health in Eastern Africa. A society in which social justice and human rights in health systems is realised. Thank you CEHURD for making maternal health a priority and for being so brave to drag Gov\’t of Uganda to court to ensure that the rights of every Ugandan are respected.